If you’re looking for coupons or specials at Collins, you’re in the right place. Our current promotions are listed below. 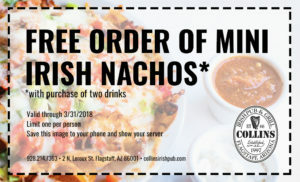 Click on the coupon and save the image to your phone. Show it to your server at the end of your meal!